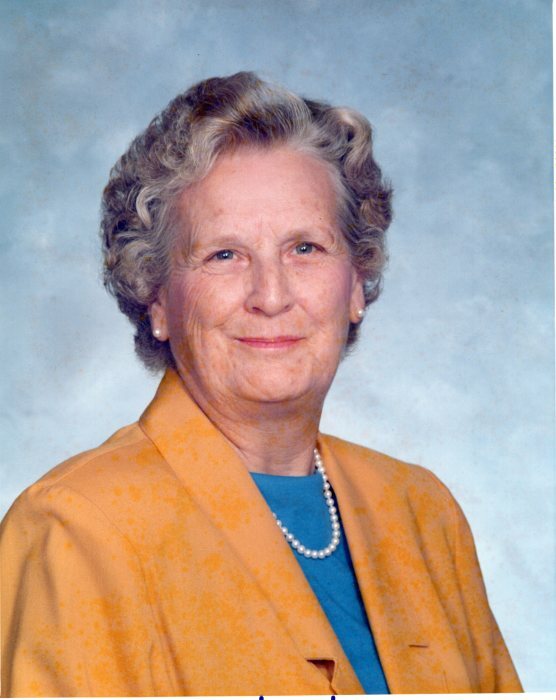 Mrs. William Ann Meeks, age 91 of Tarboro has passed away in the Vidant Edgecombe Hospital on August 24, 2018. She is preceded in death by her husband William Clayton Meeks, her mother and father William Lester Brake and Lena Gaither Brake. She was a member of the Trinity Baptist Church and retired from Carolina Telephone after many years of service. Ann Meeks leaves behind to cherish her memory a loving family which includes her two daughters, Gail Chewning Proctor and husband, John, Jr., of Pinetops, Betty Jo Meeks Dupree and husband, Jimmy, Jr., of Tarboro; grandchildren , Kevin James Chewning and wife, Marietta, Leslie Ann Robidoux and husband, Joseph, Jim Dupree III and wife, Courtney, Daniel Dupree and wife, Betsy; several nieces and nephews and 9 great grandchildren. A Celebration of Ann’s Life will be held at 3:00 pm on Monday, August 27, 2018 , at Trinity Baptist Church in Tarboro with the Rev. Jordan Willard officiating. Burial will follow in Edgecombe Memorial Park. The family will receive friends and relatives at Trinity Baptist Church one hour before the service and other times at the home: 208 Thrash St., Tarboro. Arrangements are by Carlisle Funeral Home, Inc., of Tarboro. Online condolences may be directed to the family by visiting www.carlislefuneralhome.com.